Wow! I certainly followed up Verne with a completely different book, didn’t I? I don’t think two books could be less alike than “Journey to the Centre of the Earth” and “Vainglory”! 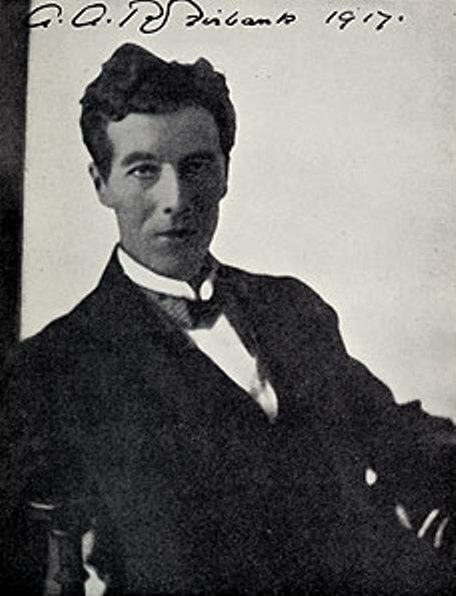 According to Wikipedia, Arthur Annesley Ronald Firbank (17 January 1886 – 21 May 1926) was an innovative British novelist. 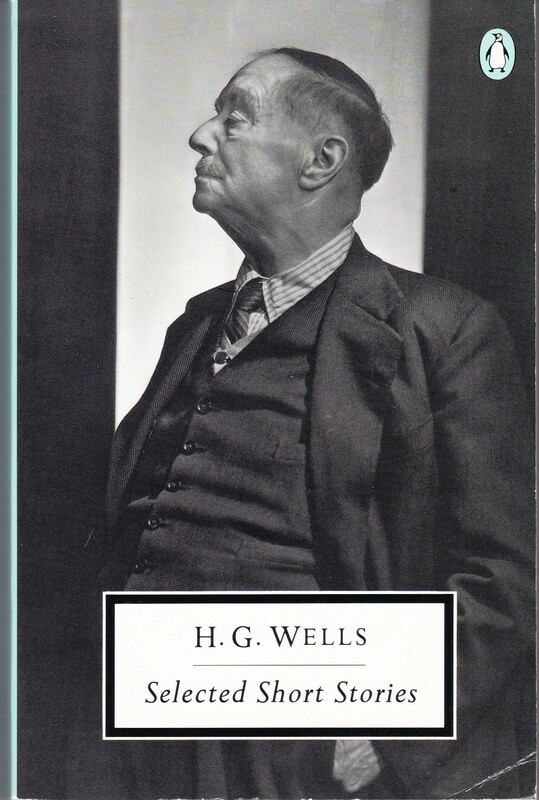 His eight short novels, partly inspired by the London aesthetes of the 1890s, especially Oscar Wilde, consist largely of dialogue, with references to religion, social-climbing, and sexuality. 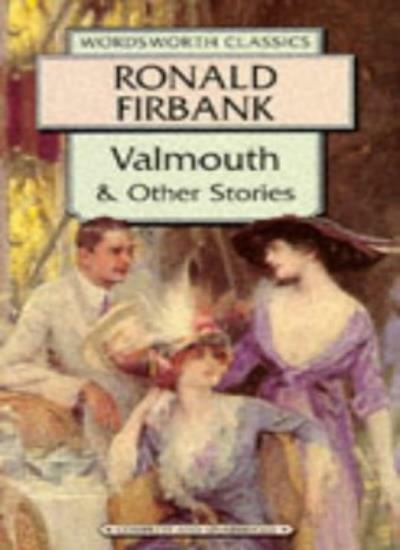 I actually have a little bit of history reading Firbank – I have somewhere in the stacks a very old-style Wordsworth Classic of “Valmouth” which I know I read (the bookmark is still in the book at the end of that story) but I can remember absolutely nothing about it, apart from that I enjoyed it! This would probably be at least 15 years ago, so maybe that’s not surprising – but I do wonder I would have made of it at the time, knowing nothing much about Firbank and not having any context in which to put him. Maybe a revisit is due. 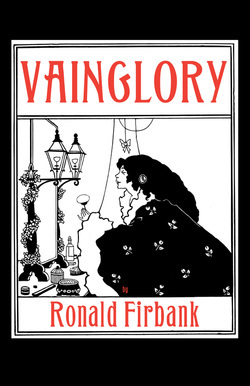 But on to “Vainglory”, a volume kindly provided by Michael Walmer, an independent publisher I’m happy to support. According to Michael, Firbank is considered a “difficult” writer, but I don’t think he’s difficult – just different! The story here revolves around the desire of the wonderfully-named Mrs. Shamefoot to have a stained glass window built in her honour. She fixes on Ashringford cathedral and much of the action is set there, while she tries to persuade all and sundry that the window would be a good idea. Around Mrs. Shamefoot circle a huge array of wonderfully-named characters, just a few of whom are Mira Thumbler, Julia Compostella, Winsome Brookes, Dr. Pantry, Mrs. Henedge, Mrs. and Miss Wookie, and the three Chalfont sisters, never seen apart and constantly laughing madly about something – laughter that becomes dangerous…. However, as Wikipedia astutely points out, “the plot is of minor importance and the interest, as with all Firbank’s work, lies in the dialogue.” And what dialogue it is! I think this is where the accusations of difficulty will come from, because it *is* sometimes not obvious whom the dialogue is coming from or what the character is talking about. The best way to think of it, really, is as if you’re eavesdropping on some wonderfully scandalous, gossipy, witty conversations – you’re not always sure straight away who is being discussed or why, but if you just go with the flow all becomes clear! If Firbank is a forgotten novelist at all, it’s a shame. His wit and cleverness should put him up with the Sakis and the Wildes of this world; and his use of so much dialogue does make me think of Ivy Compton-Burnett! I *did* love this book, and I shall return to “Valmouth” with new eyes. This is a lovely new edition of “Vainglory” by Michael Walmer, and I’d highly recommend Firbank to anyone who loves witty dialogue! 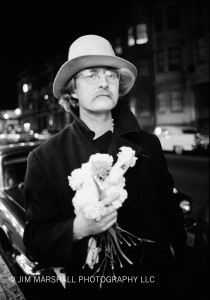 I’ve been known to ramble on about the amazing Richard Brautigan – notably here. Brautigan’s most famous novel is probably “Trout Fishing in America”, but my favourite may be “Sombrero Fallout”, from which the above quote is taken from. 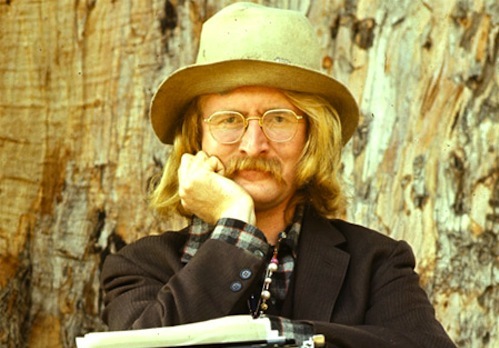 Richard Brautigan was a one-off and they don’t make them like him any more. 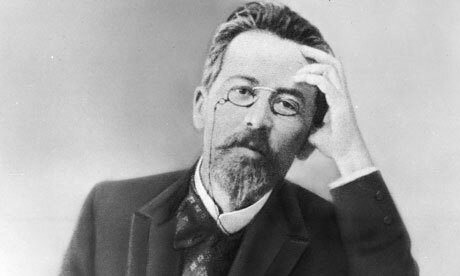 Happy birthday to one of my favourite Russian authors! It’s always hard to know what to read after an all-encompassing, absorbing book like “Life”, or something by a favourite author like Beverley Nichols – I did try Amelia B. Edwards short stories, but although they were good, they weren’t *great* (or I wasn’t in the right mood). 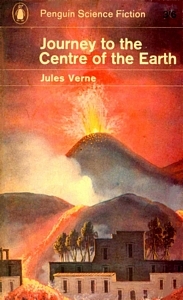 Anyway, I abandoned them half-way through and turned to what I hoped would be a light, enjoyable distraction – “Journey to the Centre of the Earth” by Jules Verne. All I knew about the plot was from the James Mason film adaptation, and having had a bit of a root about online, it soon became obvious that the book would be quite different as a lot of changes were made for the movie. And the eternal problem of translation reared its head again, which I really wasn’t expecting! 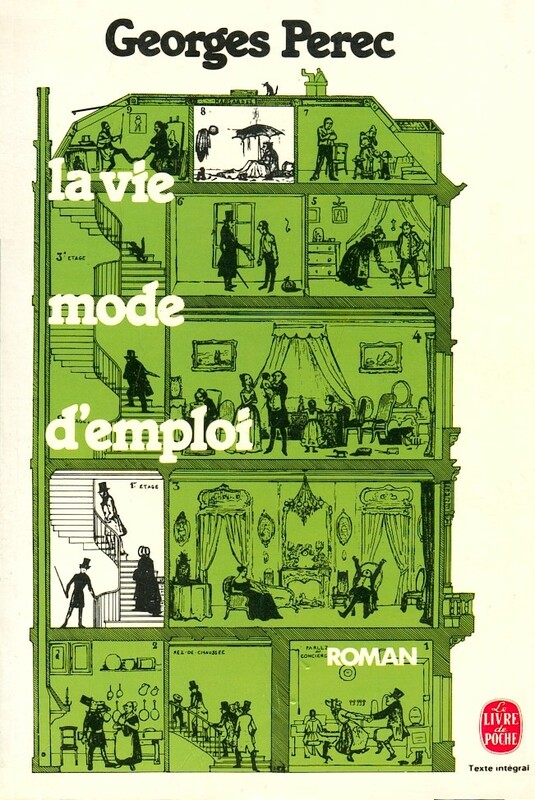 I thought, maybe a little naively, that translating from French to English would be more straightforward than say the Russians – but I was wrong. It seems that the early English versions of Verne suffered from sloppy translating and heavy, lazy editing which removed a lot of the scientific parts and contracted dialogue down to a paragraph of description etc. This made a little nervous but fortunately, my 1965 Penguin edition proclaims that it is a “New translation specially commissioned from Robert Baldrick for Penguin Science Fiction”. * Additionally, a useful online site which rates the various versions of Verne seems to think that this one is ok, so I breathed a sigh of relief and embarked! I had certain expectations of the book based on the film, but in many ways they were wrong. The film had additional elements added which made it a completely different prospect to the novel (love interest, evil rival) and if I remember correctly lost many of the more adventurous aspects. Because this book is nothing if not full of adventure! The characters are very well drawn – the irascible professor, the slightly cowardly but sometimes brave (and so therefore very human!) Axel, and the quiet but reliable Hans. We see how they learn to rely on each other in times of crisis, developing a deep friendship, and we watch their progress into the bowels of the earth with wonder. “Journey” is also a very gripping and exciting read. Verne never lets the pace flag, and our heroes pass from one adventure to another. There is a certain contracting of time, when we will learn in a couple of sentences how they travel through a particular place for hours (or even days! ), so Verne doesn’t waste words! 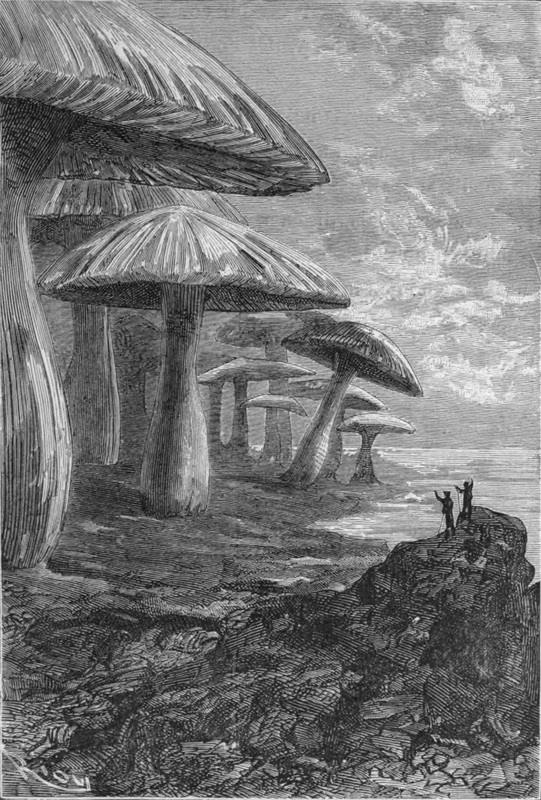 And his vision of what it’s like below the earth, although now scientifically disproved, is still stunning and unusual – he conjures up some wonderful images with his descriptions of strange plant and animal life, a huge and strange sea, clouds and caverns – it’s certainly an intoxicating, exciting journey to go along on! This was a really satisfying, enjoyable read – one of those books you just sink into straight away, and look forward to picking up and reading the next chapter. Is it science fiction? That’s a good question, and I would prefer to label it “imaginative fiction”. There is science in it, and exploration – but nothing from outer space, no flying saucers or aliens and it certainly isn’t anything like modern sci-fi. This was just simply a brilliantly written, exciting adventure; thought-provoking in places and great fun. 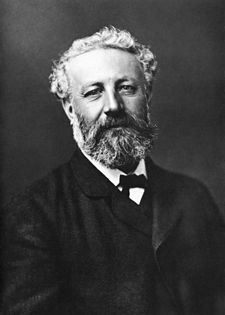 I shall look forward to exploring more of Jules Verne! As an aside, it does seem such a shame that Verne’s reputation has suffered so much from the language issue. Bad and shortened translations really have led to him being dismissed a children’s’ author and denied much of a place in the great pantheon of literature. Why you should dismiss children’s authors is a question I’d like to raise anyway, but certainly he deserves to be recognised as a great writer of fiction. In searching for information on the various versions, I stumbled across this site, which was quite a useful guide. I then went off at a tangent trying to find out which versions were published by Wordsworth Editions, as they don’t always state the translators, and I must thank them for their very helpful and informative responses when I made contact – luckily the versions they put out are rated as ok on the Jules Verne site! So it’s off to track down some Wordsworths! 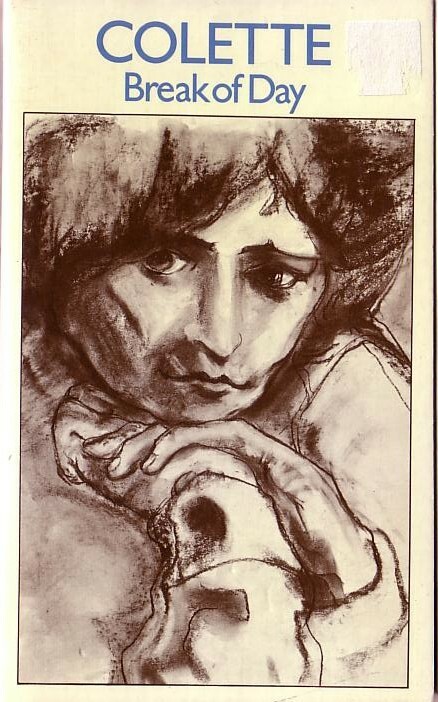 It seems to be birthdays galore at the moment, and today is a very special one – that of the wonderful French author and bon viveur, Sidonie-Gabrielle Colette, known more familiarly to readers simply as Colette. Colette was another one of those amazing women writers I discovered in the flowering of my interest in literature – the late 1970s and early 1980s were a real voyage of discovery for me. I read through Colette’s works from the very beginning, in lovely pastel-colour covered editions from Penguin; from the early adventures of Claudine, all the way through to Colette’s last days, crippled by arthritis but still writing under the light of a blue-shaded lamp. But my favourite book of hers has always been “Break of Day”, with its glorious descriptions of the south of France, and the author’s wry comments on love and ageing and her relationship with physical, earthy things. I’ve returned to it regularly over the years and it never disappoints. 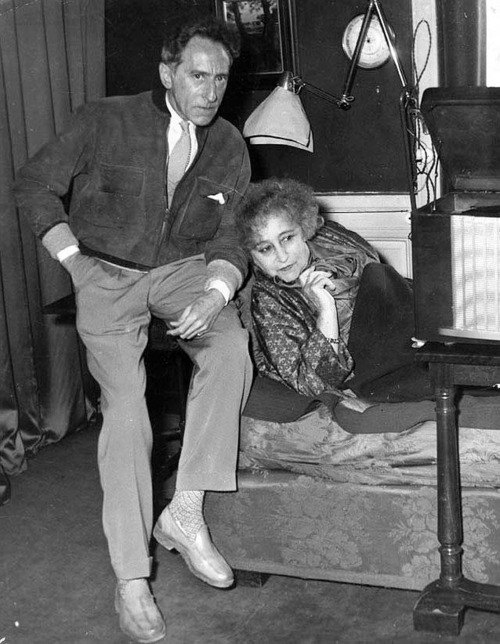 Colette lived a full, exciting and pioneering life, with enough events to actually fill several lives! I was thrilled when I found out she had actually been filmed in her latter days and it was wonderful to see a recording of the real woman. No, I haven’t gone completely manic and decided to buy lots of new books as well as my recent bargain finds! 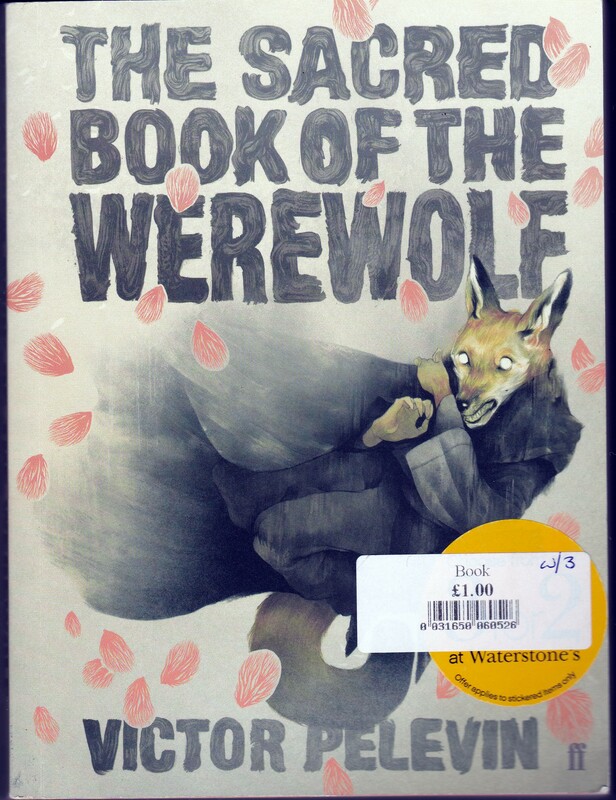 But for unavoidable reasons I had to go into Waterstones and purchase a brand new, shiny book on Saturday (Youngest Child needed a copy of Angela Carter’s “The Bloody Chamber” and I had left it too late for an online shop; plus I needed extra last-minute birthday gifts for Middle Child). So it seems that some lovely creative person has been hiding little works of art in amongst the books – how cool and wonderful is that? As I liked the art, I followed the instructions and have brought it home to use as a bookmark – thank you, artistic stranger! Pelevin is a modern Russian writer I want to explore – I have his “Clay Machine Gun” on Mount TBR and this was just to good to ignore for £1. It sounds rather intriguing – I wonder whether there might be elements influenced by “The Master and Margarita”? This volume contains such notable works as “The Time Machine” and “The Country of the Blind” – so for £1.25 I succumbed. Definitely *no* risk of me running out of books to read any time soon…….